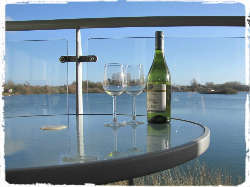 Daisy Chain is a luxury glass-fronted holiday home overlooking the Lower Mill Estate nature reserve in the Cotswolds. Aside from its fantastic views the property provides guests with free access to a luxury spa with three swimming pools; the complex also offers play parks, tennis courts and 550 acres of attractive nature reserve to explore. 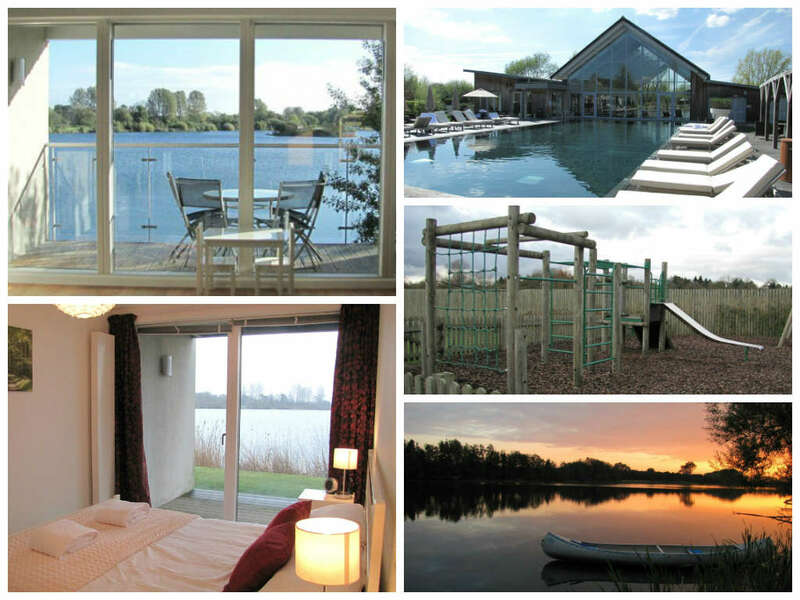 Daisy Chain is located on the Lower Mill Estate in the Cotswolds Water Park, a short drive from Cirencester and Swindon. The property is ideally located for a holiday exploring the Cotswolds, with its many beautiful villages and attractive countryside within easy reach. Child and family friendly days out in the local area include the Cotswolds Country Park and Beach, Cotswold Wildlife Park, Butts Farm and the Magic Land soft play area in Cirencester. Daisy Chain is a contemporary and well equipped property with accommodation spread over its three floors. The house sleeps nine in five bedrooms, with two ensuite bathrooms and one family bathroom. The living accommodation is on the middle floor to make the most of the property’s fantastic views over Somerset lagoon, the largest lake on the Lower Mill Estate Nature Reserve. Prices are competitive for a property of Daisy Chain’s size, with a week during the summer peak costing £1700, or £1500 during the Easter or October school breaks. Out of season the property can be hired for as little as £1000/week, or you could enjoy a weekend or mid week break for around £750. Located on an expansive 550 acre nature reserve, Daisy Chain offers a fantastic variety of safe open spaces for children to walk, play, cycle (bikes can be hired nearby) and observe the varied local wildlife. The estate isn’t open to public traffic so there are limited vehicles passing through, making it a safe and relaxing environment for kids and grown-ups alike. The property also comes with its own Canadian canoe available for your exclusive use to explore the lake and buoyancy aids are thoughtfully provided too. 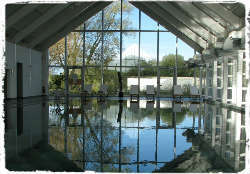 Each stay at Daisy Chain entitles visitors to free access to the complex’s award winning and high quality spa facility which features no less than three swimming pools (heated indoor and outdoor pools plus an eco plunge pool) – perfect entertainment for the children whatever the weather! There are also play areas with climbing frames, swings and trampolines plus table tennis and tennis courts, and there are even resident chickens for little ones to visit. 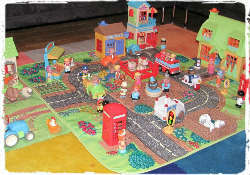 Daisy Chain also comes equipped with a variety of toys to keep children occupied at home including Duplo, a toy garage and vehicles, Happyland toys, a range of books and puzzles, family-friendly DVDs and bath toys. Daisy Chain isn’t just suited for children and has a few parent friendly features too! As noted above, the house has stunning uninterrupted views over a large lake, and its sun deck balcony provides an idyllic location to enjoy a glass of wine and watch the sunset while the children snore away! In addition to swimming pools, the on-site spa facility provides guests with access to a sauna, steam room, a range of treatments (for an additional fee), and a well-equipped gym and library; all guaranteed to help mum and dad unwind during a busy family holiday! The property comes helpfully equipped with all the baby and toddler equipment you might need – stair gates, baby monitor, travel cot, baby bath, changing mat, potty, baby/toddler rucksack carrier, high chairs, and children’s cutlery – always a bonus for reducing the amount of luggage parents need to take on holiday! For nights when you don’t fancy cooking, the local estate shop stocks a range of homemade frozen ready meals. Daisy Chain comes with free WiFi but pets are not permitted. With its fantastic views and excellent on-site facilities, Daisy Chain looks to us at Parent Friendly Stays like the perfect venue for a luxury Cotswolds break with the family. And given its five bedrooms there’s probably going to be space to bring the grandparents too! “We first discovered the Lower Mill Estate where Daisy Chain is 4 years ago when we visited for a 70th birthday celebration. The location was perfect – swimming, play areas, great cycle routes and outdoor life for the children, walks, bird watching, tennis courts and spa for the adults. We stayed for a week and there was so much to enjoy we only left the estate once! 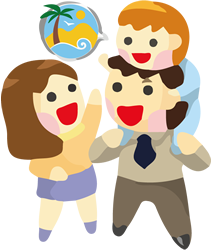 If you’d like to find out more about family friendly holidays at Daisy Chain, including booking and availability enquiries, just fill out the form below.